We know that every business has different needs, structures and goals. Our services and solutions for the leading open digital analytics platform Matomo (formerly Piwik) are designed to make sure you can use Matomo to its full potential and achieve your goals in the smartest way possible. Our Matomo Analytics Cloud comes with no hassle, no sampling, and all our premium features. 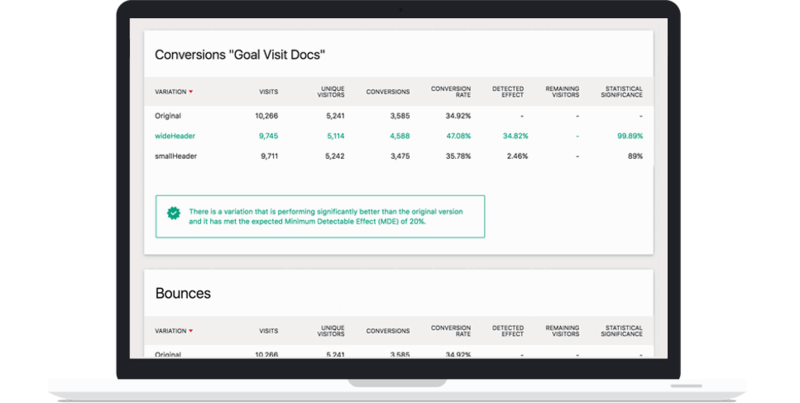 Measure what matters, optimize your content and grow your business. Are you hosting Matomo yourself on-premise? These features take your Matomo Analytics to the next level. A/B Testing lets you grow your business by comparing different versions of your website or app to detect the most successful version that increases your sales, revenue, conversions, pageviews, and more. A Funnel defines a series of actions that you expect your visitors to take on their way to converting a goal. Funnels visualizes these actions so you can see how well they succeed at each step. Based on this information you can improve your website or app to optimize your conversion rates and sales. 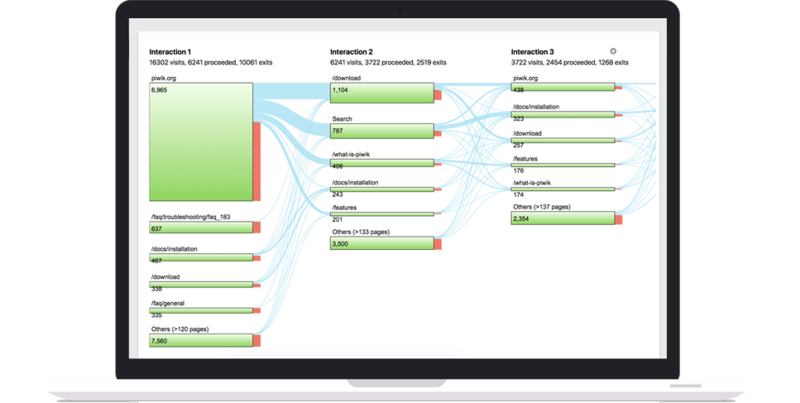 Users Flow shows you the most popular paths your users took through your website or app. In a glance you see how your users navigate through your website over several steps, where they came from and where they exit. 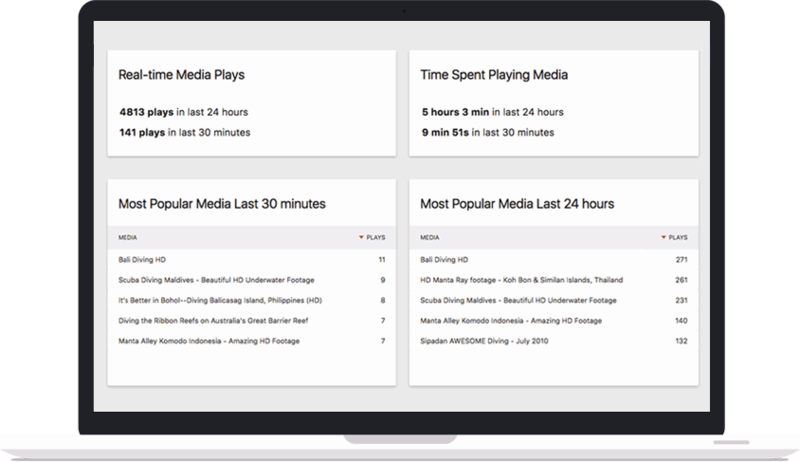 Media Analytics gives you powerful insights into how your audience watches your videos and listens to your audio so you can maximize your success. Form Analytics gives you all the insights you possibly need to understand how your visitors or users interact with your online forms. Make decisions based on the facts you get to increase your form conversion rates. Discover to what your visitors pay attention to, where they try to click, how far down they scroll, and much more. Find useless content, problems in your content structure, and much more to improve your conversion rates. Tired of seeing "Keyword not defined" in your referrers report? Get back the insights you need to discover how your visitors find you on Google or Bing and as a bonus get crawling statistics. Get the insights you need, when you need. Matomo comes with a great set of standard reports. As all businesses have different structures and goals, the insights you get out of these reports may not be enough though. 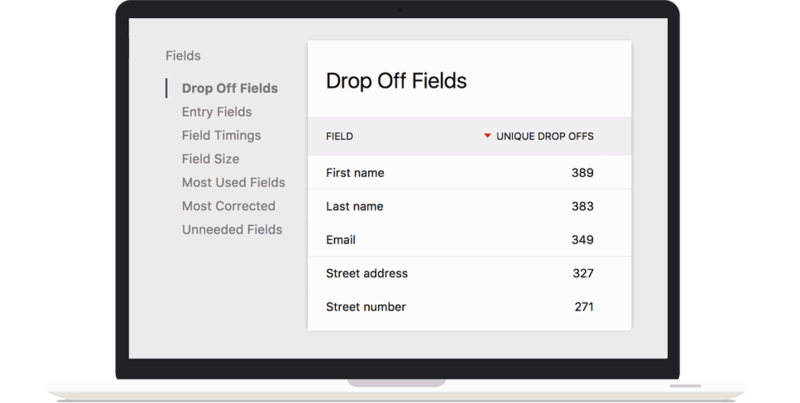 In just seconds, Custom Reports lets you tailor new reports to get a better view on your users. This allows you to achieve your goals and improve your websites and apps the way you need to. 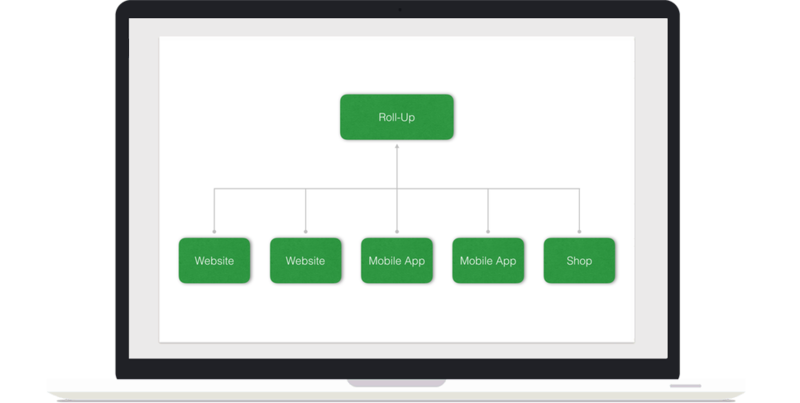 Roll-Up Reporting lets you understand the performance of a group of your websites, mobile apps and shops in an aggregated form. Roll-Up Reporting is ideal to compare the performance of your various brands, regional business units and clients websites: gain new valuable insights that are normally out of reach while saving a lot of precious time. 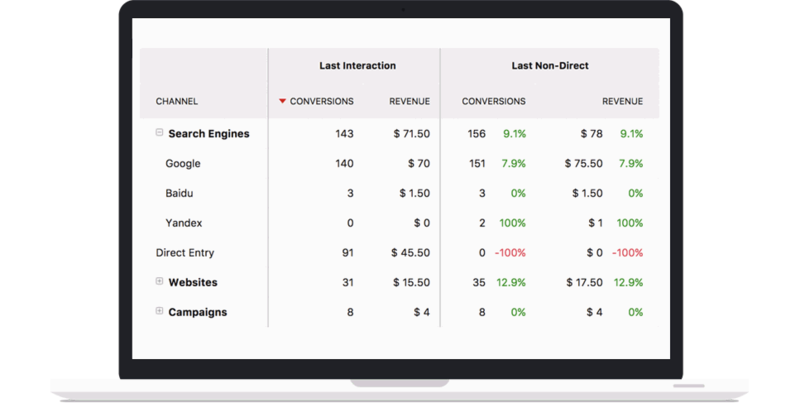 Multi Channel Conversion Attribution gives you a better understanding of your marketing efforts by letting you apply different models to find out which channels really lead to a conversion or purchase instead of only looking at the last visit. Want to keep an eye on everything that is happening on your Matomo? 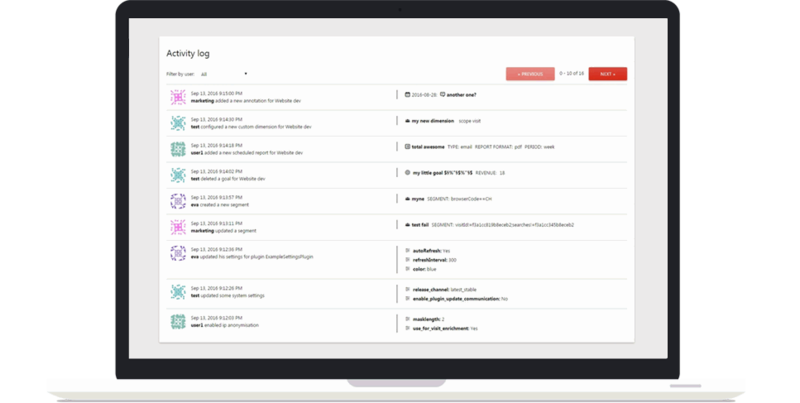 Activity Log makes it possible to observe the activities of your Matomo's users for enhanced security. The White Label plugins removes all Matomo branded widgets from your users dashboards and removes content that promote our professional services and products. 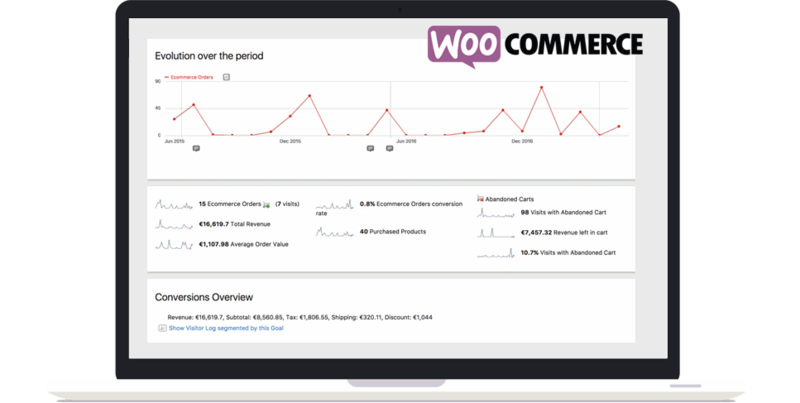 Connect your WooCommerce store with Matomo to find out which of your visitors buy, where they come from, what they did on your website, which products and categories sell best, and much more to drive more revenue and to improve your sales funnel. 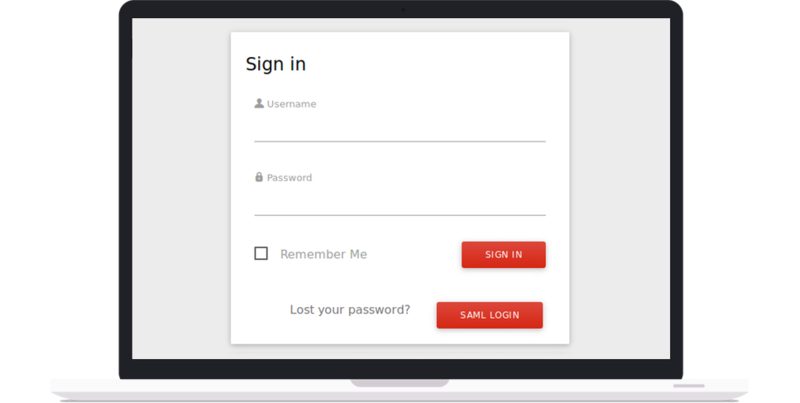 This Matomo authentication plugin allows users to log in to Matomo using SAML Identity Provider (IdP). It is compatible with any Identity Provider such as OneLogin, Okta, Ping Identity, ADFS, Google, Salesforce, SharePoint. We believe in openness, privacy and 100% data ownership. Our mission is to liberate analytics and we are passionate about measuring for success. That's why we created the leading open source analytics platform Matomo Analytics (formerly Piwik Analytics) used on more than 1 million websites and apps in over 150 countries, available in more than 50 languages. We are the Matomo experts and with our unique analytics products and services we help you get started, configure, monitor and make the most of your Matomo Analytics. Supporting businesses and global organisations to keep full control over their data. Our Support and Consulting focuses on understanding your needs, clear communication and building relationships to deliver services in time and budget. Our talented engineers handcraft Matomo and Matomo plugins for best user experience, quality, performance, stability and security. These 3,000+ verified companies and corporations trust us using Matomo. Interested in our services, cloud, or premium features? We appreciate all kind of questions and feedback. We are passionate people who believe in quality and innovation with many years of experience in building and using Analytics software.